According to The Complete Motown Singles: Volume 4, this single was commercially released just a few weeks after Stevie’s previous effort, Happy Street, hit the shelves. Not only does that seem rather unlikely – what would Motown’s motivation be for having two competing Stevie Wonder 45s out at once? – but I’ve never seen a stock copy of this that was pressed up at the time, or even a picture of one, nor have I spoken to anyone who’s got one, which leads me to believe this was never actually released. But Motown says it was, and so, well, here it is. I’m glad, though. Any record is bound to sound good in comparison with the lacklustre Happy Street, and it might sound like damning with faint praise to call this probably Stevie’s best single since his big breakthrough with Fingertips (a title that’s not exactly a fiercely contested accolade given some of the forgettable sides that have come since), but this is a good one. I can’t say it’s a “return to form”, because Stevie hasn’t actually got any form to return to, and when he finally got consistently good, his later records – even his mid-Sixties teenage efforts – had almost nothing to do with the novelty kiddie phase that had brought him fame and fortune as “Little Stevie”. Instead, this is more like a rebirth, a starting point for a new artist, and if it doesn’t sound as though that new artist will go on to become one of the all-time greats, well, it’s still a good pop record – and what’s more, it’s the first A-side to have Wonder’s name among the writing credits. Without realising it, Stevie has taken the first step on the road to Music Of My Mind. I don’t want to oversell this. It sounds like it comes from some kind of throwaway AIP film cashing in five years too late on a teen craze already past. It’s jaunty, frothy R&B-pop, taken at a fast lick and with no higher purpose than to move the hips, and you’d be mad to say it comes anywhere near Wonder’s best. But it’s no hot rocker, and Stevie doesn’t get to pick up his harmonica once, never mind scream the lyrics: it’s a pretty tune first and foremost. It’s quite a thrill to hear a “sweet” Motown dancefloor assault again, especially after a week of the crushing downer that is the Supremes’ Always In My Heart. The rattling rollercoaster drums and quietly bashed tambourine and (especially) the soaring, sawing strings driving the whole thing along sometimes threaten to take over, to buck Stevie right off the track and turn this into a San Remo Golden Strings-style instrumental cut, but he hits back with a confident and well-taken lead vocal to take control. He’s still very much an adolescent, he doesn’t try anything too spectacular, but he’s starting to learn his limits and work on his delivery, and – for the very first time on Motown Junkies – his voice is finally recognisable as Stevie Wonder, future legend. The best thing about this, though, is that it’s just a lovely, airy melody. There are plenty of nice moments that call to mind the better days of Eddie Holland; when Stevie declares I will be so proud to have you standing by my side, just before a rising string sting takes us up to the middle eight, you can’t help but think of the future. So, the guy did always have a way with a tune. And Motown knew it, because Berry Gordy knew it, had it himself, could always recognise it in others. Perhaps that’s why this phantom single was supposedly slated for release; a new star songwriter emerging from the most unexpected of quarters. This is my favourite song by either Little Stevie Wonder, or Stevie Wonder. As far as I’m concerned it is perfect. So, I’d rate it a 10. I understand that it was a bit old-fashioned at the time of its scheduled release. Of course, it was never released. It should have come out as Tamla 54108, It should have been pressed on Tamla’s “Globes Design”. It was not. Originally, it was withheld, due to Berry Gordy’s and Clarence Paul’s and Stevie Wonder’s decision to start another artistic direction with Stevie, and to drop the “Little” in his name. I have NEVER seen a pressing on the Globes design. I have seen this record on the newer design (one that I have obtained, and only 2 other copies, one in The Motown Corp. Record File, and the other, in The Jobete Music Record File. I believe these were pressed up some months later (maybe November or December of 1964) than the record was originally scheduled. And, even then, there was an afterthought by Gordy to squash it (recall it) before it got out. I’m sure it never got to stores (also probably not distributors). I’ve never seen a DJ issue. I believe that the 3 copies I know of were pressing plant masters, (of 6, made up before the press run, which was cancelled before they were pressed (just as in the case of Frank Wilson’s Soul 35019, and The Andantes’ VIP 25006)). I have sent a scan of my copy to you, Nix. Just heard Edwin Starr’s version of this song. It is pretty good. What do think of it Robb? It seems as though Mr. Starr was given a lot of remakes to fill his albums. While he may not have had as distinctive a voice as some of Motown’s other male singers I thought he still had a fine voice & (for the most part) I enjoy his recordings. He always seemed to do well with whatever material he was given. Can’t wait until we get to his music! There are 4 known copies in existence of Stevie’s Pretty Little Angel. The Motown corp & the Jobete copies no longer exist as the archives were raided during the lapse polygram years. The record archives are today a sorry state. A guy in London has a copy check out his label scan on Cat45, picked up in a London flea market for 80p in 1974, jKeith Hughes pal has a copy & I unbelievably picked one up recently on ebay. My copy is identical to the Nix copy with the drill hole in exactly the same place, with a 98c small round sticker covering the drill hole on both sides, think they got pressed as a batch of 6 in 1966 to coincide with Stevie’s “uptight” album release, hence the brown bar label. No demo’s are known to exist. I recently re-read through your discussion thread & label scans back from 2005 on “Soulful Detroit “concerning pre Motown Berry Gordy songs written & produced, did you ever find answers to the other questions you raised? & have you ever compiled a list of the records written and produced either before or during the early years of Motown on none Motown labels? Or point me to one that has? No, I have never compiled a list of Berry Gordy’s and other early Motown personnel’s non-Motown releases and recordings. And, sadly, I cannot point you to any. I may have had a couple of my many questions answered, but can’t remember which. Check the jasmine CD “berry first motor city roots” (jascd 527).it features lavern baker,Jackie Wilson,al Kent,the fideltones,bobby Darin,Bob kayli,the miracles and many more. It’s entertaining and informative. The 25 tracks look to cover gordy compositions from 1957 to 1958. Notice on the scan that the punched hole indicates the record got out into the public. I contend that a Motown insider knew of the pressing plant 6 issues (4 of which always went to the Motown offices, 2 for the record files, one for Berry Gordy, and, perhaps, one for Company in-house use (separate from The Corporation and Jobete’s record files. That left 2 copies always left at the pressing plant. After some months, or a year or two, the pressing plants would throw away their old pressing masters. They would end up at The Goodwill or Salvation Army stores, or among large stocks of cut-out records. My copy must have ended up back with discarded distributor stock, and gotten punched along with them. Or, Berry Gordy withdrew the record after it had been pressed, and ordered them destroyed, but this (and, possibly a few more) avoided being destroyed because it got mixed in with other records at the distributor, and was later sold of in a large lot (all punched). I won’t be able to upload the image until I’m back at my PC, but I wanted to jump in and reply! As you note, it’s on the later “brown bar” Tamla label stock rather than the earlier yellow “globes” design. That particular label wasn’t introduced (or possibly even designed, as far as I know!) until late 1966; I believe Stevie’s own ‘A Place In The Sun’ that October was the first commercial 45 to use it for a first run pressing. If that’s true, then that indicates this particular copy was likely pressed up at least two years after the supposed release date, which is highly confusing! I don’t think it had a regular press run. I’m guessing that someone inside Motown wanted a small number pressed up just to fill The Company record files and to have a few around, similarly to Raynoma Gordy ordering her 1961 Miracle single pressed up 2 years after its release was scheduled. THIS brown-top Tamla was the copy in The Motown Corp. Record File and The Jobete Music Record File. If the Globes version had ever been pressed, EVEN if the pressing plant order had been cancelled (after the 6 pressing plant masters were pressed, then Globes pressings would have been in the company record files. The producer kindly sent me an MP3 of just my part of the show, but I can’t do anything with it (I tried hosting it here, but I have to pay; I tried uploading it to Youtube, but it’s too long) – any suggestions, anyone? I think this song deserves an 8. Great song that is fun, fast paced, great chorus and youthful. Stevie sounds great here! I must mention that I’m not exactly sure how old Stevie was here, but even at this young age he had the ability to make a song sound like an old standard that everyone should/must know. He is one of few singers that posses such a remarkable quality! It announced the new logos Labels and product “IDs” for Upcoming 1967! !This explains why for example in the December 1966 issue of “Some day at Christmas” originally came out in 1966 on the” globes label” (which I’ve also have had) Both R.C.A. Indianapolis (US) pressing plant copies and Monarch pressing plant pressings (US).. I never had a arp pressing of that record until around December of 1967-68. this also is when Stevie’s Christmas album was being played and promoted starting in December of 1967 (The very next year)! The single was issued again in 1967 with the album. and it had the ” BAR LABEL” and from then on! as some various seasonal Christmas singles are known for that!! (being repressed a Few years at the Christmas Season. like the Supreme’s and the temps & Jackson 5 Christmas 45s….. This” Pretty little Angel” 45 rpm single Might of been similar, In A Way..!! possibly …of coarse it was no way a Christmas record….But hopefully you understand!!!! The song was a change from the” little Stevie sound ” to a more “growing sound” . the tune is real catchy. I Liked it ! it was just a great tune that fell victim to wrong timing!!!! Frankly when you came to this one, I thought it was going to be deemed ‘unreleased’ because I only know of it from the Uptight album. But if I did in fact miss an important, “Golden Age” Wonder single, I’m apparently in a very large group. You’re right about the ‘brown bar’ Tamla’s. They came along at the same time as the Gordy ‘arrow’ re-design in late ’66. Respectively, I remember the Miracles’ “I’m The One You Need,” Stevie’s “A Place In The Sun,” the Vandellas’ “I’m Ready For Love,” and the Temptations’ “I’m Losing You” as the first things with the new design. I’ve never been as fond of either as the ‘record & globe’ Tamla and especially the ‘script’ Gordy. But they didn’t go quietly either. Marvin & Kim’s “It Takes Two,” Stevie’s “Travlin’ Man”/”Hey Love” were readily available in ‘globe & record,’ and I’ve seen “I Heard It Through The Grapevine” on the old design too. I’ve seen “Jimmy Mack,” “I Know I’m Losing You,” “All I Need” and even “Cloud Nine” on the script design, and I have “I Promise To Wait My Love” on it. I didn’t like seeing them disappear. Yes, this is certainly a better song than the cutesy “Happy Street,” probably would have done better business, and kinder on Stevie’s reputation. yes Dave’ I also remember some of the same records mainly on Tamla, Stevie’s “a place in the sun” APR pressings as being one of the first” bar label”issues at least the first one that I remember!!! I don’t know if this was true. but I remember I Asked Tom Deperio in the 1970’s why and what was happening in 1967 with the label changes but yet the old ones would still surface!! I was told that at that time all 3 or 4 record pressing plants that had contracts for pressing 45rpms for Motown Were Pressing records At such a rate with not Only Motown But Many Other Labels as well!! That they did not have a good or had very little supply of label supply on hand all at the same time. It seems that the first Plant pressings that I remember putting out the “New labels” Was ARP (American record pressing Plant!! while the same record being pressed at the same time or shortly after By the monarch pressing plant was still using the “OLD” GLOBES on Tamla and SCRIPTED on Gordy Labels.. they had got the “OK” from Motown to use up the remaining old stock of the label design that was on hand until it was depleted or gone. Then start with the new as they where able with the new label stock being Quickly Printed up! !The second run of pressings of those particular records had the new label’s at the various pressing plants. The R.C.A. pressing plant at least the ones that i remember getting had the Old until the 1st of 1967…January and 1st of February. You have to realize from November1966 to the end of January1967 is only 3 months!! to get the new labels and product I.D.’s up and running!! it seems that in late1967and1968 I can’t remember which pressing plant it was that had found some old stock of labels that was provided to the label printer that the plant used but I also have “cloud nine” by the Temps, “Traveling man” By Stevie,” If you can want” by Smokey&the Miracles on the old globes and scripted labels!!!! for example. I know that I have gotten Way off the subject I APOLOGIZE..
Not at all. This pressing plant discussion is right on-topic. This is what I recall hearing, as well, especially as I worked with Tom DePierro at Motown, and I was his ownership partner at Airwave, Airwave international and Altair Records. It is interesting to hear about the Globes white DJ release in 1964. They must have recalled the release in Oct. 1964 before any store-stockers were pressed, and, indeed, even before any store-stock pressing run was started (otherwise the two records in the Motown Corp. and Jobete Music files would have been Globes issues, rather than with the “Bar design”. So, this record must have been re-scheduled for release in 1966, and then pulled back AGAIN, BEFORE the press run occurred, but AFTER the 6 pressing plant masters were pressed (and 4 of those 6 records were sent to Motown (2 for the Official Record Files)). Gregory, I used to have “Cloud Nine” on a Gordy “script” label with a VERY dark brown background (bought it in a poly-bag at a five-and-dime around 1971). Seem to recall it was an RCA pressing. Goldmine’s price guide doesn’t list label variations for it. Randy, That’s a “cool” find I also have that same record pressing!! I had bought it when it came out in 1968 , I believe That’s around the same time I had Bought a copy of if you can want. by Smokey Robinson & The Miracles a R.C.A. pressing Wit the globes on it!! also!! The R.C.A. pressings are my particulate favorites but the cloud nine with the more dark brownish color back ground & script label is downright beautiful!! Amen to that! Welcome back, Dave. It’s been so cold and wet here in Wales that I’d actually forgotten it wasn’t raining everywhere else on Earth. I’m a little late to the party, but something you guys seem to be missing is that this record is an obvious attempt to mimic the Neil Sedaka sound. Just listen to Happy Birthday Sweet Sixteen, Little Devil, Stairway To Heaven, Let’s Go Steady Again etc, and there you have it – it’s too similar to have been a coincidence! I’d not thought about that, but yes, that’s a really interesting comparison. I remember this being on the “Uptight” but not ever as a single and i don’t recall airplay of any kind. There must have been few more copies pressed than some people think as I bought a copy in the Soho Market Records in July 1975. Somebody had obviously sold a Stevie Wonder collection to them as they had seemingly everything Stevie had released up to 1970 all US pressings singles and albums, promos and stock copies of most issues.I bought 18 Stevie discs from the collection that day. Mainly albums but a few singles including this one and an unusual Yesterme, Yesteryou, Yesterday with the last style globes label. I thought they ran out of the old designs by the end of 68 but apparently not. Like the one shown it was on the post globes design which gives me the impression it was pressed no earlier than the fall of 66 when this design first appeared. Maybe they considered releasing it as the follow up to Blowing in the WInd before A Place in the Sun was finished. I find it difficult to believe its a 1964 pressing particularly as the matrix is prefixed T4KM which indicates a 1966 RCA master. I didn’t even know it was that rare at the time. I had every British Motown release at that time and had only started collecting US Motown singles the year before and simply bought it because there was no British equivalent. Soho records also couldn’t have known it was rare either because all the Stevie singles were priced at 80p each. anyone know what the likely value is now? The following month most of the collection had been sold. Anyway down to the musical value. I’ve always liked this a real gem of a melody with a gorgeous string arrangement. Undoubtedly pure pop but a beautiful pop record nonetheless. It MUST be dead rare, as I mad trips across USA looking at literally MILLIONS of 45s in 1966-1972 and NEVER saw it, I knew several Americans with the best Motown collections and only one out of 30 had it, and he had bought it off of Ron Murphy, who had gotten it from the original pressing plant Motown customer master file. I believe that 2 of them “escaped” (were lifted) from Motown’ files around 1980, when all those Motown acetates started being auctioned off. I still don’t believe there are more than 6 copies in collectors’ possession. You may be right, maybe I was just lucky to come across it the way I did, but at the time I had no idea it was that rare. Maybe the one I have is a bootleg copy. It certainly looks completely right and I doubt if it was ever in demand enough at that time for anyone to go to the effort required to bootleg it. The pressing looks right, the matrix stamp looks right and the label looks right. 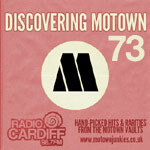 It must be the rarest single I’ve had because I was never lucky enough to get hold of copies of some of the other notoriously rare Motown singles like the Little Iva single, Eddie Hollands “You deserve what you got”, etc. I don’t really like this song, but I appreciate it because it shows off the gradual maturation of Stevie’s voice. Concerning the song itself, it reminds me of the early 1960s work of Neil Sedaka. Given Stevie’s temperament, writing a Sedaka-like number for him wasn’t a bad call.